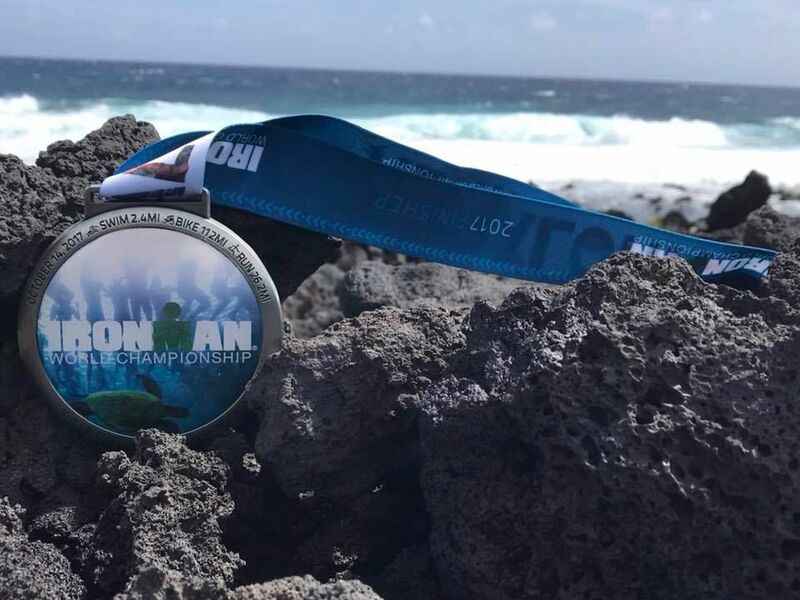 Image of German Medrazo's medal after he competed in an ironman competition recently in Hawaii. But how do we dream that dream? How does that idea come to mind? And how in the world do we convince ourselves that running 26.2 miles is such a great idea? I’m no sports psychologist, but I am a dreamer, and as a “professional” dreamer I can tell you what makes me want to run. To do that, let me tell you about a dream I had back in in summer of 1988. I was on an airplane, and browsing through one of the magazines they used to lend you on flights, and I found an ad that caught my mind, then caught my imagination and that made my heart stop for just one second. It’s the one second where my life changed direction. In 1988, I was 14 years old. I had no idea who or what I wanted to be, but from that moment on I knew where I wanted to go. There! That spot! That place! That, whatever the heck it was, is what I wanted to do. And one second later after careful consideration, and weighing in the possible causes for vandalizing airline property I snapped the page off. I was now officially an international bandit, but I had to have my dream. Because, mind you, back in 1988 magazines in airplanes came in between plastic covers that clearly stated that the rightful owner of said publication was Pan-American Airlines, so no question about trying to take it home! But I only took one page, and for my younger reader, if there is one out there, this might sound like the stupidest thing ever! All you had to do was google it! Nope internet hadn’t been invented yet. Well dude, take a picture with your phone! Nope to that as well; phones only came with a cord attached to the wall, a cord that ran back to the telephone company! Ok so a digital picture? Nope not invented yet! So the only option was to cut the page off and hope no one saw me. Things get more complicated, because now I had evidence of what I wanted to do with my life, but the question still remained: what the heck was it? It would be a few years before I found out that it was a race in Kona, a small village on the big Island of Hawaii. It was a grueling event that demanded a 2.4-mile ocean swim; a 112-windswept mile bike ride through lava fields; and then, the most sacred of all numbers — the one that defines us as we prepare for January – a 26.2-mile run to cross the finish line. All in one day! Now my life had direction. I finally knew where I was going! Today, I’m 43 years old and, as I write these lines, I’m sitting in Kailua bay in Kona, Hawaii ready to begin my Ironman Journey — the one that started when I was 14 and the same one that only took me only 29 years to attempt! I don’t know what your dreams are. I don’t know what will inspire you. But know one thing: even if it takes you 29 years or a lifetime, it’s never too late to start and it’s never too late to take that first step that will forever change your life and the direction you’re headed. Open your mind and your heart and let it speak to you even if others think you are crazy! Because we are indeed crazy, and we only live once! So keep on running and smiling and don’t be afraid to dream, and don’t be afraid to go after your dreams no matter how old or young you are! German Medrazo completed last week’s Ironman World Championship with a time of 12 hours, 52.36 seconds, placing 1,739 out of a field of 2,364. Medrazo is co-founder of the Valley Running Company in McAllen and is a 17-time ironman, a 10-time marathoner, an ultra-marathoner and a Nordic ski marathoner. This column is for information and entertainment purposes only. Runners are strongly advised to consult with a doctor before beginning any exercise program.